The Indian Institute of Managemnent Raipur signed an MoU with National Entrerepreneurship Network( NEN) today at IIM Raipur Campus. The partnership with NEN will help IIM Raipur develop content and programs around Entreprenuership to motivate its students take up Entreprenuership as a career option and at the same time encourage local entrepreneurs to scale up and reach out to a wider audience. The immediate result of the partnership will be capacity building for the Entreprenuership cell of the Institiute so that it can develop over a period of time to answer to the needs of the students of the Institute. 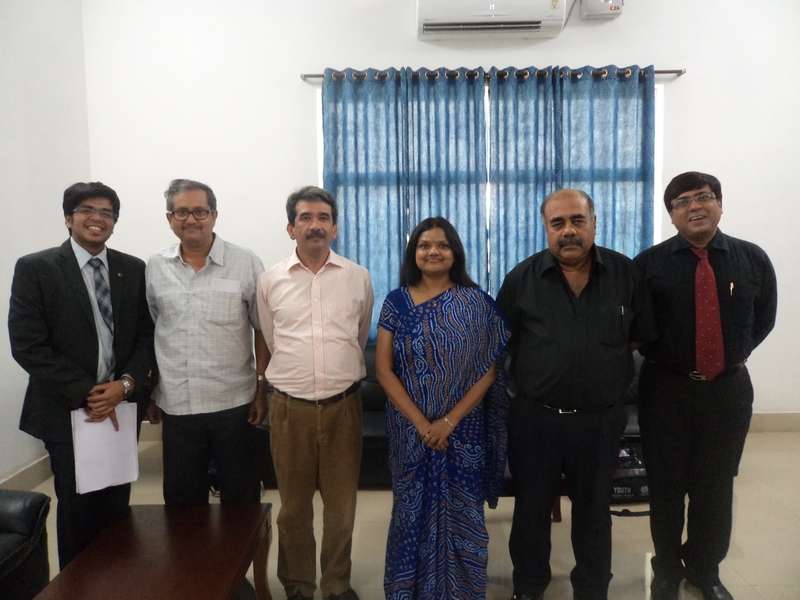 The MoU was signed by Prof Ajit Prasad Dean Academics, IIM Raipur and Ms Kalpana Sinha and Mr Debmalya Bhattacharjee from NEN. By 2020, the average age of India’s population will be in the 25-30 age bracket. Considering this, there will be a huge need of jobs for the young people and job creation in turn needs entrepreneurship. NEN, an organisation founded by Mr.Ramesh Wadhwani of the Wadhwani foundation, focuses on fostering the spirit of entrepreneurship amongst the students and aims to inspire, educate and support them. Its goal is to create 100,000 jobs in India. Mr. Bhattacharjee started the session with a video on ‘Lead India’ and explained how entrepreneurship is all about need, innovation and fun. He further explained NEN’s model of synergistic partnership with the institute and how it would be effective in building a vibrant entrepreneurship ecosystem on campus to aggregate support for the institute members and entrepreneurs. Ms Kalpana Sinha from NEN, Delhi Region, motivated the students to ‘Try and fail, rather than to fail to try’. She, along with Mr Debmalya entertained all students’ queries. Speaking about the positives of the partnership Tarang Singhal, the student Coordinator of Entreprenuership Club said that that the club is right now only a year old but has started with the right notes by starting a B Plan Competition to promote ideas here in Chhattisgarh. Partnering with NEN would add more resources to take make the programs more effective. Rahul Khedkar, member of Entrepreneuship Club expressed hope that this partnership would help him take his business plan from idea to an excution stage and he looked forward to the programs from NEN at IIM Raipur campus. The session was also attended by Prof. Sanjeev Prashar, Prof. Ajit Prasad and Prof. S.K Mitra of IIM Raipur. The student members entreprenuership club of IIM Raipur Tarang, Vamsy, Rahul, Deboleena, Manu, Shashank, Bir were also present at the MoU signing ceremony.